I'm a huge fan of epic American tv shows; you know, the ones EVERYONE is talking about. I've obsessed over LOST, I've shunned Heroes, I drooled over Spartacus: Blood and Sand (don't judge me), and of course I've spent hours and hours of my life watching Mad Men. But you know, I'm sick of hearing about the latter. Although brilliant, and full of Jon Hamm, Mad Men is not the ONLY good retro show full of jaw-dropping costumes. In fact, when it comes to costumes, Mad Men is surely beaten by Boardwalk Empire. There, I said it. Set in the boom town of Atlantic City, NJ during the prohibition, Boardwalk Empire is as rich a story-line as it is visual. Just finished up with it's second season, with another in production, this Martin Scorsese produced show is BIG budget. The pilot alone cost $30million dollars, and no expense was spared on the clothing. Costume is a key aspect of the show - in the 1920's clothing was the most important factor for showing social status, as it had been for centuries beforehand. Like many of the personas in Boardwalk Empire, the lead character, Nucky, (played by Steve Buscemi) is based on a real person who was known for being a snappy dresser. In this interview with Esquire costume designer John Dunn discusses how he brought out the male characters by tailoring alone. Dunn and his team immersed themselves in the year 1920, contacting vintage clothing dealers, researching tailoring of the period, to ensure complete authenticity. Using real vintage suits just wouldn't cut it; as with most 20's clothing, what has survived is usually too ragged, the cost of restoring the clothing too high. The suits had to be tailored from scratch, using only the fabrics of the era. Boardwalk Empire is not for the faint-hearted; it delves into the gangster underworld of the prohibition, and in a Scorsese-produced show, you know it isn't going to be all happiness and rainbows. As characters get beaten, murdered and more, multiples of the same suit had to be created, further ruling out authentic pieces. Accessories and some dresses, on the other hand, are mostly vintage. The team scoured the country looking for original pieces - stockings, coats, gloves, pins. 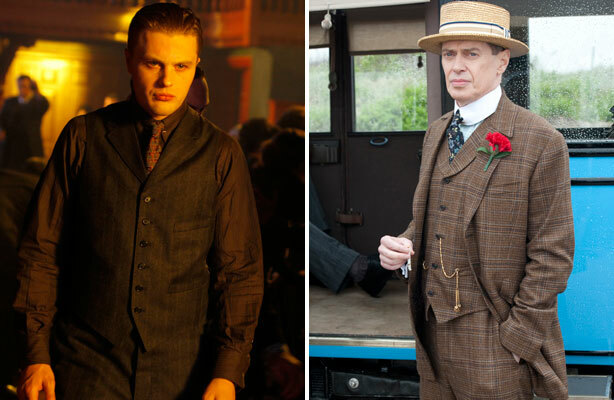 The most surprising thing about the costumes of Boardwalk Empire is how colourful they are. We are so used to seeing the 20's in black and white, who knew what colours would be in vogue at the time? Using references to colour in magazines along with sketches and swatches of fabric used by tailors, it was obvious that this was an era where manufacturers experimented with dye. Different characters living in different cities were dressed in different ways. The seaside summer of Atlantic City (the shows key location) has a brighter palette than the elegant, cutting-edge tailoring of the New Yorkers (I'm particularly in love with Arnold Rothstein's wardrobe) or the old-world darker colours of the Chicago-based Italians. The female characters, too, were instantly recognizable by their costume, which also tells the story of the women's part in the prohibition. 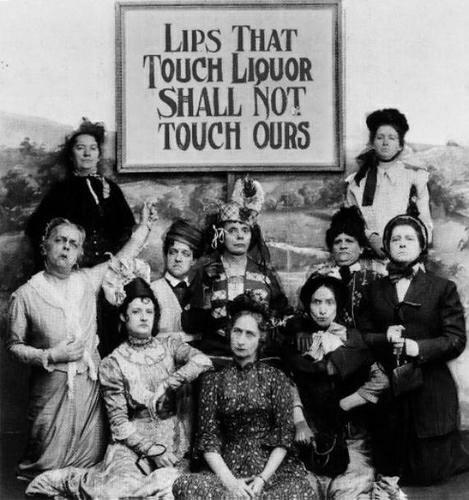 The dour old-fashioned button-ups of the Temperance League (whose slogan was "Lips That Touch Liquor Shall Not Touch Ours") contrasts against the decadent beading and elaborate patterns of the early flappers. The main female character, Margaret Schroeder, transforms from struggling immigrant to more exquisite locations and thus, dresses. In one scene she wears a green silk evening dress recreated from a sketch by Coco Chanel. During this era fashion also reflected the changing status of women in society. Going from a corsetted silhouette to rectangular shapes just skimming the body, perfect for showing off beading and decoration. Light fabrics were used to lay thin layers against the body, and women were just starting to wear bras and knickers rather than bloomers. For the first time in history, clothing started to look like its modern-day counterpart - a 1920's dress could easily look the part on today's fashionista. But what makes these fashions so beautiful is the hand-crafted detail, something which we rarely see now. Dunn points out, "The 1920's was a transition into modern clothes, but with all the embellishments of the past" - and that's exactly why I love it. And just how cute is this image of the Boardwalk Empire girls, shot by Ellen Von Unwerth for Vanity Fair! Perfect for Summer inspiration!